The slow coffee movement has become hip and exciting in the past few years. Leading the pack are single cup brewing systems such as the Hario V60. These drip brewers epitomize the slow coffee movement: hand poured, single cup, artisan coffee brewing. The problem is figuring out which brewer is the best one for your kitchen. If you want to consistently make great coffee and enjoy the process of brewing a cup, click through to read my Hario V60 review. Then you can decide if the V60 is your ticket to a great cup! Hario is a Japanese company that’s been around for around 100 years. They were founded in 1921 as a glassware manufacturing company. In fact, the name “Hario” means “king of glass” in Japanese. Hario are not just the “kings of glass” but the kings of coffee as well. The Hario V60 sets the bar for simplicity in brewing. It is a large, open bottom brewer that relies on proper grind and infusion to create the proper filtration and brew timing. The V60 is typically used with a conical paper filter which is relatively thin compared to your typical automatic drip brewer. The V60 is a wonderfully simple device. It consists of a cone shaped brewer with a flat lip on the bottom for it to rest on a mug or carafe. It has spiral patterned ribs on the inside of the brewer that help direct liquid flow and prevent the paper filter from sticking to the side of the brewer. This prevents issues with increasing contact time and overextraction. The use of a paper filter leads to a very clean cup with a light body and very little turbidity. Because the design is so simple, the V60 has been produced in several materials. For people on the go, you can throw a plastic V60 into your bag. If your brewing ritual is at home, there are glass, ceramic and metal versions available. Each one has its own unique design and unique look. In any Hario V60 review, it would be remiss to ignore the biggest point of this brewer. Instead of a series of small brewing holes, there’s one large one. This large brewing hole allows for unrestricted flow and reduces the chances of over extracting your coffee. With the size of the hole, the brewer relies on the grind of the coffee in the filter to control extraction time. The spiral ridges keep the filter from sticking to the side of the brewer and further increasing extraction time. All these features contribute to a brewer that rewards a finely tuned grind and good technique. 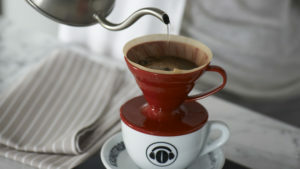 The Hario V60 ticks all the boxes you’d expect from the “king of glass.” First off, it’s cheap, costing you around $20. When you look at the cost of some drip coffee makers, the V60 looks like a massive bargain, and it truly is. On top of the price point, it’s a very low maintenance solution to brewing. Just toss the filter and grounds, rinse and leave to dry. The V60 is also fairly user-friendly. With a minimal investment in technique, you can produce stellar coffee in around 4-5 minutes. Pretty much all you have to do is get the grind size right, get the pour over water temperature right and get the timing down. I’ll show you a couple other items later on that can help make these a lot easier. There are a few downsides to the Hario V60 that I noticed in testing. There’s a pretty significant heat loss between the cup and the brewer. This is due to the lack of physical connection between the two, like a Chemex brewer. This heat loss was far more pronounced with the plastic version of the V60. Because it’s a glass or ceramic brewer, there’s also the risk of breakage. The plastic version shines for its supreme durability. Still, the glass and ceramic versions are made of sturdy stuff. They don’t have to be handled with kid gloves, just gentle adult ones. Finally, the Hario V60 is designed to be a single cup brewer. You only get 12-14 ounces of coffee out of a single pour over, making it very limited for using when you have company. If you’re looking for a pour over solution solely for groups of people, consider a large Chemex instead. Related: Aeropress vs Pour Over: Which Method Produces the Best Brew? In this Hario V60 review I’ve just barely touched upon technique. A good pour over technique will go a long way to helping you make exquisite coffee, but it doesn’t hurt to have a little help. The better equipped you are, the easier it will be to pour over the perfect cup. Of all the factors in making good coffee, I find that grind consistency, extraction time and water temperature are the most important, in that order. If you want to make great coffee, you’ll need to invest in a good grinder. 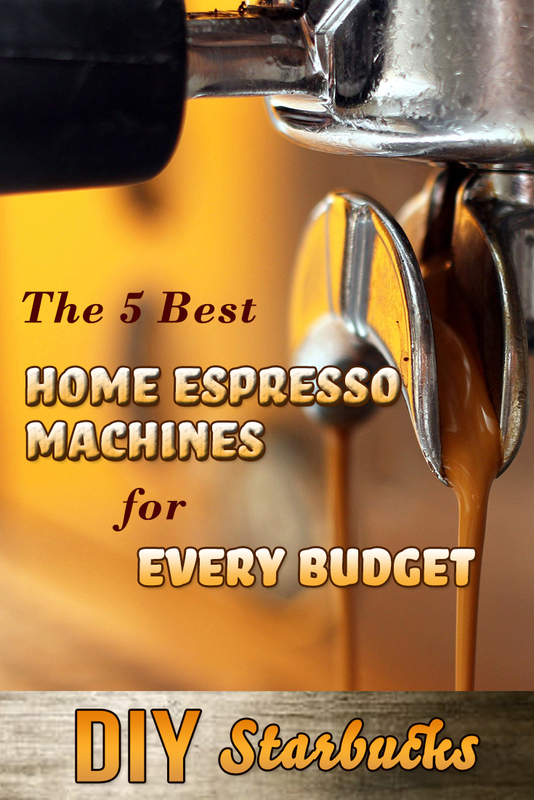 For espresso, expect to spend between 50% and 100% of the cost of the actual espresso machine on a grinder. In my kitchen, I use a Baratza Vario grinder. It has more than 150 points of adjustability for any brewing style. It’s also rebuildable and low torque, keeping the ground beans from heating up. Consistency is also excellent with very few oversized or undersized particles. I’d highly recommend it, even though it’s a pricey grinder. Extraction time is how long water is in contact with your coffee. Too short an extraction time and you’ll end up with a weak, underdeveloped cup. Too long and you risk the strong and bitter cup that characterizes Starbucks. To help you hit the perfect extraction time (around 4-5 minutes for a pour over) I’d recommend the Hario coffee drip scale/timer. This device is a gram/ounce scale that contains a built-in timer. You can measure weight of water/coffee and time of infusion all in one simple place. To ensure you have the right temperature water, I’d recommend the Buona Vita variable temperature kettle. This nifty little kettle will hold your brewing water at any one of 5 set temperatures. This ensures you always have the proper brewing temperature and don’t over or under extract your coffee due to poor temperature control. No discussion of pour over coffee brewing would be complete without discussing the filter. The V60 uses a conical filter compatible with the giant single dripper hole in the bottom of the brewer. I’ve always used the Hario #4 filters and had great luck with them. There’s very little paper taste, but be sure to wash down the filter with hot water first. You’ll wash out any lingering paper taste and pre-heat your brewer and cup to reduce heat loss. 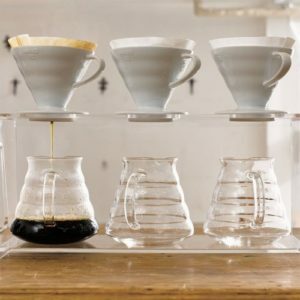 Finally, to make your brewing process easier, I recommend the Hario V60 brewing stand and Hario range server. You can also pick them up as a complete coffee brewing set. The stand and glass server, combined with the V60 brewer and scale combine to make the perfect pour over station. I’ve found that the combination of stand, range server and scale helps me make the best tasting coffee possible with very little mess or clean up. So there you have it. Is the Hario V60 coffee brewer the perfect coffee solution? It’s not perfect, but it’s as close to a perfect pour over cup of coffee as you can get in your own kitchen. Related: Want a Delicious Brew? 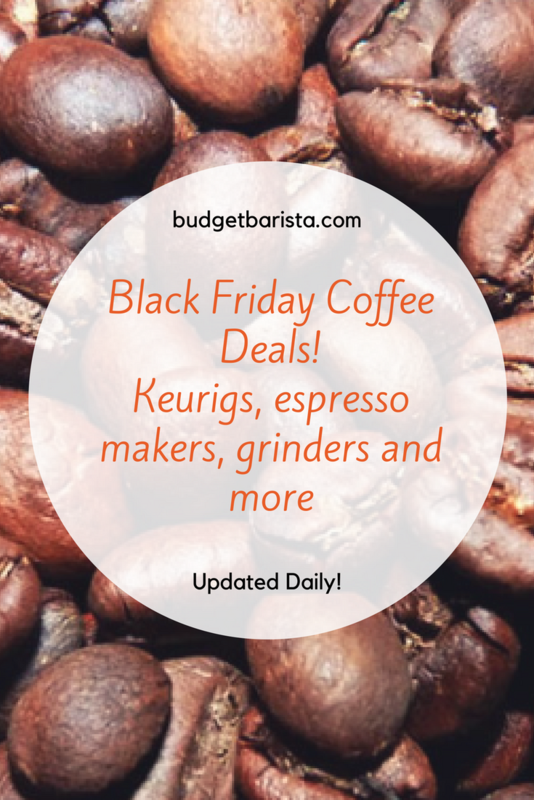 5 of the Best Tasting Coffee Makers, Burr Grinder vs Blade Grinder: Which Method is Better?